Have you ever been bullied? Have you seen bullying? What happened? How did you feel? We want to hear about it! Send in your stories, poetry, or artwork on the topic of bullying. Submissions can be about topics such as: What is bullying? How does bullying make me feel? What can I do to prevent bullying? You can use pencils, markers, paint, crayons, or other art mediums. Anyone in grades K–5 can enter. 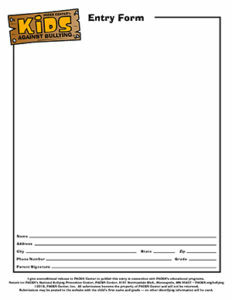 To help prevent bullying, have some fun—and maybe see your submission on the PACER Kids Against Bullying website! Entries can be submitted anytime. Don’t forget—your mom, dad, or legal guardian will need to sign your entry form!